Kakamigahara (各務原市, Kakamigahara-shi) is a city located in southern Gifu Prefecture. 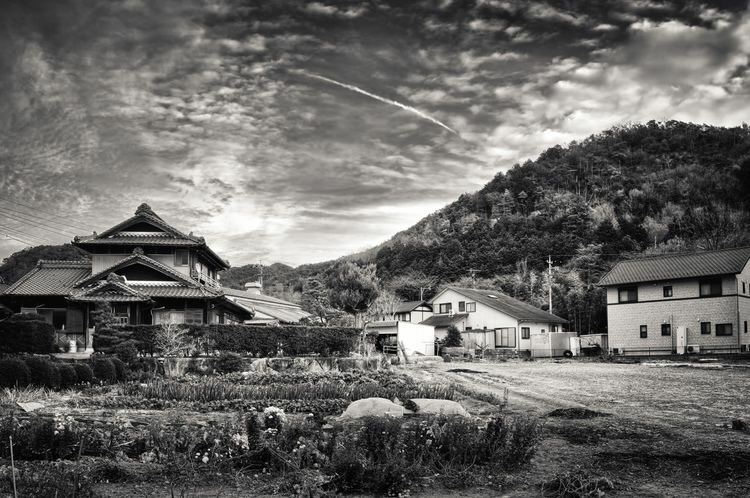 Situated in the northern part of the Noubi Plain, what is now Kakamigahara originally thrived as a stop on the Nakasendo Road, being called "Unamujuku" at the time. In more recent history, the city developed thanks to the SDF Gifu base. In addition, Kakamigahara grew as an industrial city and a commuter suburb of Gifu City and Nagoya. Mountainous terrain runs from the northern to the eastern part of the city. The Kiso River flows through the southern part, forming the municipal and prefectural (Aichi-Gifu) border. A large portion of the city is situated on the Kakamigahara Plateau. Because the soil is very well drained, it wasn’t traditionally suited to rice cultivation. Therefore, with the exception of rest stops such as Unuma-juku or other roadside settlements, the area was largely wilderness until the Meiji Period. The names of the Meitetsu train stations, Rokken, Nijukken, and the Ogase Reservoir are from that era. 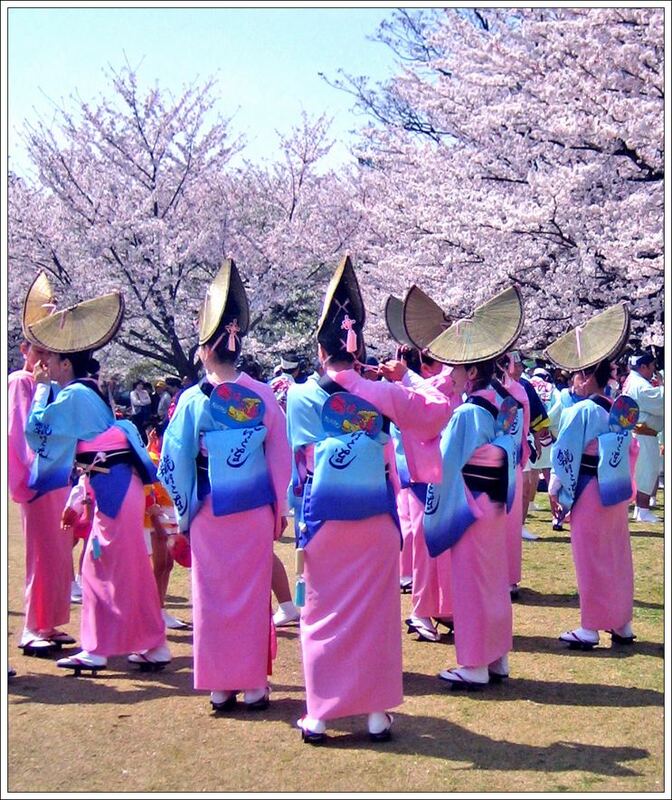 Beginning from the Meiji period, in order to take advantage of the large amount of wilderness and well-drained soil, military bases and training grounds were established. In addition, Gifu University’s agricultural and engineering departments were established in the area, leading the growth of machine and textile factories. These industries, in addition to carrot production which utilized the dry soil, became the main industries of the town. 1968: "Line Bridge" completed. Together with the Inuyama bridge, completed in 1925, these two bridges span the Kiso river and connect Kakamigahara City with Aichi prefecture. 1969: "Aigi" bridge completed. This was the third bridge to span the Kiso river and connect the city to Aichi Prefecture. It was the first bridge to connect Kakamigahara to Konan City. 5 March 1986: The section of the Tokai-Hokoriku Expressway between Kakamigahara Junction and Mino Junction was opened. Furthermore, on 13 December 1998, the Tokai-Hokoriku Expressway was connected to the Meishin Expressway (Ichinomiya Junction). 28 March 2000: The twinning of the Inuyama Bridge was completed. Previously, Meitetsu trains had shared the bridge with automobiles, crossing the bridge in a manner similar to streetcars. After the twinning, the trains began to use the old Inuyama Bridge. This separation of trains and automobiles improved transportation across the river. 1 November 2004: Kawashima-cho (Hashima District), was incorporated in Kakamigahara City. 5 November 2006: "Shin-mei Ko-ami Bridge", connecting to Konan, is completed. 24 March 2013: Kakamigahara Bridge is completed. It connects the city hall area with Kawashima-chiku (formerly Kawashima-cho) of Konan City. With the completion of this bridge, there are now four routes from Kakamigahara City into Aichi Prefecture. 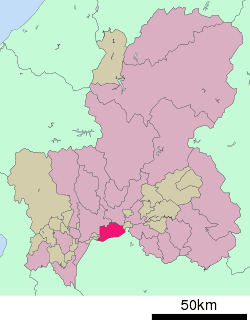 As of December 2013, about 3,000 residents of foreign nationality were registered in Kakamigahara City. The largest numbers are, in descending order, from Brazil, China, and the Philippines. Keikichi Matsubara 1968-1973. Resigned during second term due to corruption scandal. Kihachirou Hirano: 1973-1997. Served six terms. Shin Mori: May 1997-May 2013. Served four terms. Kakamigahara City is number two in Gifu Prefecture in terms of industrial production. The city has an aircraft factory operated by Kawasaki Heavy Industries Aerospace Company, located next to the Gifu Air SDF Base. There is aircraft parts production related to Mitsubishi Heavy Industries, auto-related factories such as parts makers, and metalworking industries. 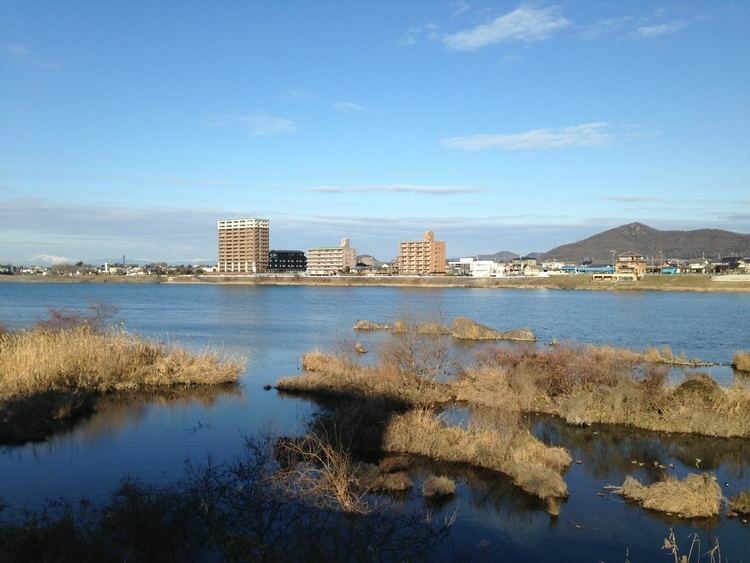 In Sue-cho in the north of Kakamigahara City, there is an industrial park called "Techno Plaza". Techno Plaza was established by the Gifu Prefectural government as a focal point for the research and development of robotics and virtual reality. With Waseda University’s WABOT-HOUSE laboratory and Gifu University’s Science and Technology Promotion Center as a nucleus, Techno Plaza is structured as an industrial and R&D center. Many ventures have moved into the park, including some companies which have made IPOs, such as Nippon Ichi Software, Inc.
Calbee (Kakamigahara factory). This factory produces Kakamigahara kimchi flavored potato chips, which are exclusive to this region. Gifu Auto Body Co., Ltd.
Meitetsu Kakamigahara Line: Shin Kannō Station, Shin Naka Station, Shimin Kōen, etc. Gifu Air Field was established as an army airfield in 1917 and is currently used by the JSDF for aircraft and flight testing. From 1945 to 1958 it was occupied by the U.S. military and known as "Camp Gifu". A museum featuring a number of indoor and outdoor exhibits including real aircraft and displays covering the history of aircraft development and Gifu prefecture's role in it. Opened in July 2007, ÆON Kakamigahara Shopping Center houses 186 specialty shops and a JUSCO department store. The center includes a 10-screen multiplex cinema and a parking lot for approximately 4,000 cars. The International Relationship with Chuncheon, South Korea that started on the 31 October 2003, was temporarily removed in March 2005, when Chuncheon protested about the Japanese dispute over the Liancourt Rocks.